The peace of a lotus flower. 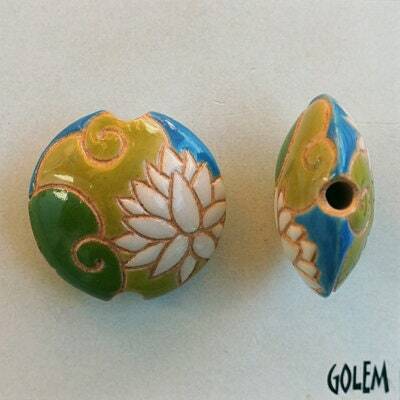 Great glaze colors and beautifully carved by Golem Design Studio. Beautiful handmade beads exactly as described!